South County Roofing and Roof Repair can help you repair your pesky roof leak and perform the necessary roof tune to get you roof ready for the upcoming winter months. We have an excellent reputation and great prices. Call us today and get your roof fixed tomorrow! 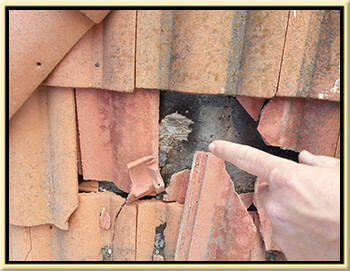 It is a good idea to have South County Roofing look over your roof and make sure nothing needs to be done. This can prevent expensive roof leaks before the rainy season. Laguna Niguel Roofing is licensed and insured and has repaired 100's of roofs here in Laguna Niguel, Ca. If we repair, or tune-up your roof you are guaranteed the roof repair job will be clean, the workmanship will be excellent, and the roofing materials used will be of the highest quality. Our roof repair technicians are competent, professional, and speak perfect English. The combination of quality people and time tested repair techniques allows Laguna Niguel Roof Repair to offer a 100% money back guarantee on any leak not solved as promised.